Looking to reduce carbon footprint this upcoming holiday? 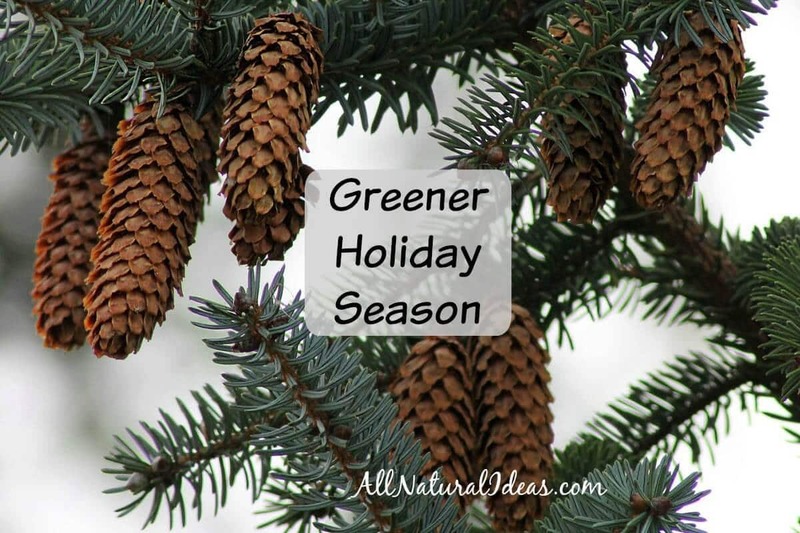 We all want to be greener and here are 5 easy ways to have a greener holiday season! In a growing global world the planet’s resources are depleting and air temperatures are on the rise. Each minute 150 acres of forest are destroyed worldwide. This year you can reduce carbon footprint on a small scale and have a greener holiday season. If everyone can cut back their energy consumption the world can become a greener place. It’s remarkable how much energy is consumed each year. Things are moving toward renewable resources, slowly. Read below how you can help save a forest. Save energy. Be greener! Get any Black Friday deals? Cyber Monday deals? When looking for appliances this year be sure to look at the Energy Star label. From TVs to home appliances find products that require low amounts of energy! A small amount of energy conserved racks up over the long run! This one applies during any time of the year. When going to the mall or the store to pick up gifts ride along with someone to have a greener holiday season! This saves gas and helps reduce carbon footprint. If possible, take public transportation to reduce carbon footprint even more! Every little bit of energy conservation helps in an age where so much energy is required for human functionality. Do you have an older pre-lit tree? Older light strings that you use around the house or on the Christmas tree? Look to upgrading your old Christmas bulbs today. Not only are old string lights faulty but they consume a high amount of energy. Try LED bulbs for a greener holiday season. They are brighter. They work more reliably. But the best part? They are very energy efficient. I know this one is counter-productive when so much of the world’s forests are being cut down. However, trees are renewable. Fake trees are made of oil and other petroleum products that are nonrenewable. Fake trees may be a little cheaper over the long run, but their carbon footprint is much higher. Plus, Christmas trees are grown in America. Fake trees are a product of the Chinese. Support American products. Obviously you do not want to re-gift a present to the same person who originally gifted it to you. However, re-gifting saves you money and it requires less resources to be used to make products. It also saves you a trip to the mall which saves on gas or other energy requirements. It is also smart to re-use wrapping material. Typical wrapping paper is made of harmful chemicals and utilizes more of the world’s resources. Try switching to something innovative. Use paper bags or re-use wrapping paper and holiday bags from last year. You will certainly help reduce carbon footprint and create a greener holiday season for all! No matter what you do during the holiday season, you can make small changes that will make a difference on the world. A greener holiday season helps reduce energy costs, energy requirements, and makes us less dependent on non-renewable resources. NBC’s Green is Universal is hosting its annual campaign to support the Arbor Day Foundation. Make and share an animated GIF here to help us all have a greener holiday season. For every GIF shared and hashtag #GIFATREE generated on social media by the end of December 2015, the Arbor Day Foundation will plant one real tree in a state park or national forest up to a maximum of 25,000 trees! Become the Earth’s hero. By switching to greener practices you can help slow the destruction of our natural resources. How Much Epsom Salt for Plants to Get Tasty Veggies? Lye Soap: Is it worth the risk to make your own? YES! Something we all need to focus on during the holidays! Wonderful Post. If everyone unites in saving our planet from global warming, our world will become beautiful place for us and and also our future generations to come. Thanks for sharing this post.